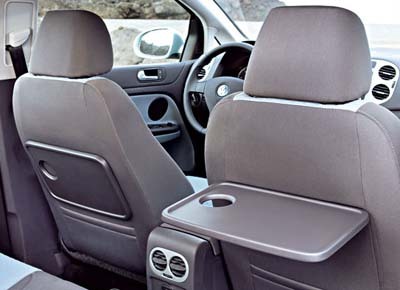 In the usual Nissan move, the Pathfinder gets an all new interior half way into its life cycle. 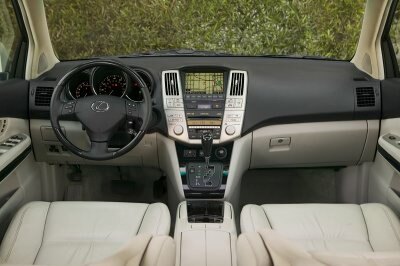 I guess people were complaining about a rather plasticky interior. This one does look better and a bit more organic. 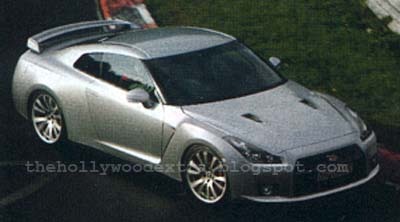 But Nissan is now offering a 317hp V8, just in case. I know, I know, this is just an illustration. Not an actual picture of the real thing. But hey, it looks pretty good. The current 6 is still a great car. I drove a 2.3 Liter version for a few days last year and loved it. The new one will be larger, based on the Fusion platform and will probably use the new 3.5 Lier V6 as an option. Let's hope it looks great. 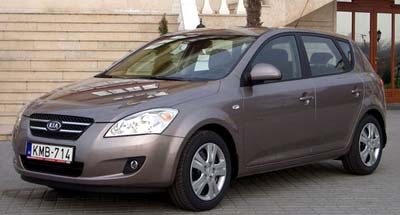 Not sure where these pictures were taken, but they show the Opel version of the Astra with US plates. What we can see here are pretty much all versions of the car. Including the wagon and convertible. It will be introduced at the Chicago show. As we've seen before, the car is basically the Opel with a Saturn logo and new bar on the grille. The base engine should be the 1.8 Liter with 140hp. With a 2.0 Turbo as an option on some models. This car will help create a phenomenal difference between GM and Ford. I can't wait for this one, especially the hard top convertible. Despite the auto show's louzy lighting, you can tell this is one nice interior. Better than the Aura and one of the best in the segment. A very attractive family wagon. Much better than the GM minivans it replaces. It starts at $24 400 and does qualify for a $2350 tax credit. 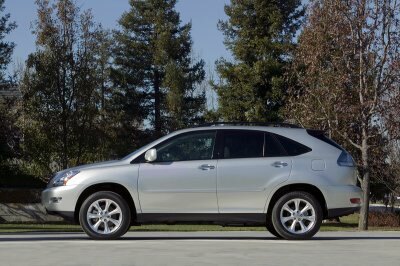 That means a loaded one could still be under $29 000, before the credit. The Camry Hybrid is over $2000 more! 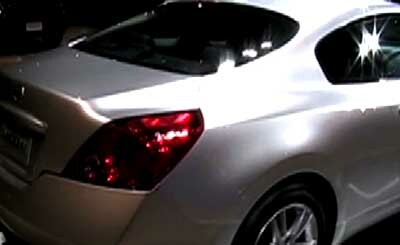 With its good look and nice interior, the Altima seems to be a great deal. Most Camry Hybrid owners report real life mileage of around 37mpg or more. The altima should get pretty much the same. Here is a base model of the new Mondeo Hatchback. With cheap plastic wheel covers and black door handles. Volvo is planing a hybrid version of the new C30. The "regular" engine would be a diesel, and it could run on electricity alone for about 45 miles. And yes, it's a plug-in. I guess it means that if you can do less than 45 miles a day. You might not need any gas. Some places here, like malls and movie studios, even offer some parking spaces with free plug-in stations. So you wouldn't have to ever pay for the electricity. Just a new pic of the monster. Not sure if they really need this in the US. On another note. I'm on my way to a "big studio" to try and convice them about the "Vince Burlapp Show" . 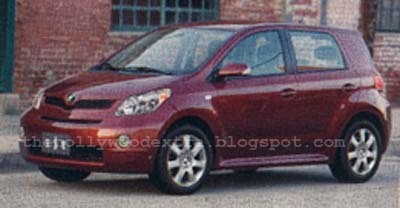 Here is another picture of the next Xa, or whatever they'll call it. Not sure if this in an illustration or not. Just looks like a photo to me. I guess it will grow a little bit, and they are still talking about a 1.8 Liter engine. That 1.8 seems to be going pretty much in every car where they are currently using the 1.5 liter. They apparently showed it on ABC and of course.. I missed it! But here is what they showed: Not that much. But enough to see what we already knew: The G8 will just be a Commodore with a Pontiac grille. It might get more changes in a couple of years when the production moves to Canada. Meanwhile, still a nice RWD sedan that'll make GM offerings even better. 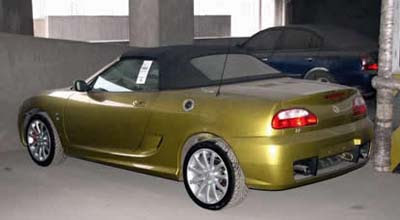 MG back from the dead in China??? 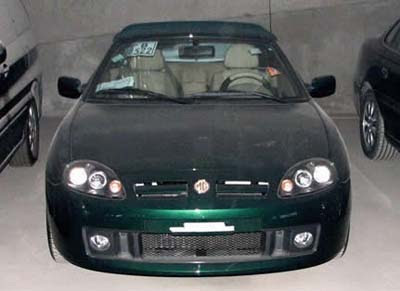 The Chinese owners claimed last year they would start selling cars within the next 2 years, under the MG name. And that would include the US. The were even mentioning a US factory. I never heard of anything since. Exactly what a Citroen should be. Futuristic and a little bid weird. This will be tough competition to the Mazda 5, in Europe. Ford transit van in the US? Part of that same "Euro Fords in the US for 2009" rumor I posted earlier includes the Transit commercial van. A pretty good looking one if you ask me. Especially compared to the horrible Dodge/Mercedes one we now get over here. Does that mean they would sell Euro Fords as Mercury, and at the same time, moving the brand a bit upmarket???? I'm not sure if this is real, but it looks pretty good. 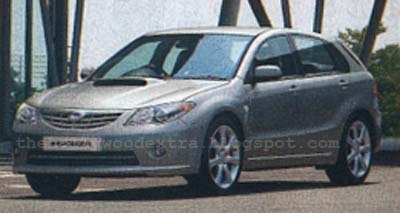 The Impreza will be produced as a hatchback as well as a sedan. And yes, we might just get the sedan in the US. Not sure if this is the final thing, but I wish they did something a bit more original. I see Subaru as a Japanese Citroen, or Saab. They should not only be different, but also look different. 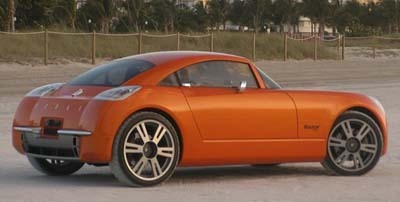 Best Car has published this illustration of what the S2000 could become after the death of the current model next year. I had heard previous rumors about the S2000 being replaced by a 4 seater car. 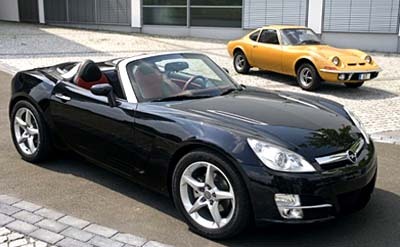 This one would still be a 2 seater with a compact convertible hard top similar to the new Miata. And the design would have more of a retro vibe. So I guess, nobody really knows anything about what's coming after the S2000. So I guess it'll look pretty much like this. From England we get yet another rumor. dodge would be ready to show as soon as march a small RWD 2 seater to compete with the Sky/Solstice/Miata. I don't know.. Wouldn't we have seen some prototypes of this by now??? An all new RWD platform? I don't think this is real, but it gives us an idea. 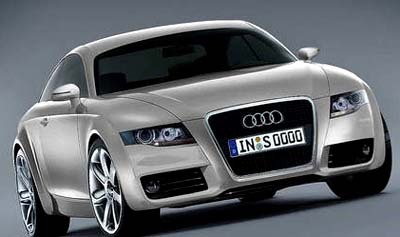 The A 5 will come out in a few weeks and will be priced above the A4 sedan. The A5 convertible will eventually replace the A4 convertible. Well, the upcoming A3 convertible should fit the bill for a more affordable Audi soft top. Euro Fords in the US for 2009??!!! 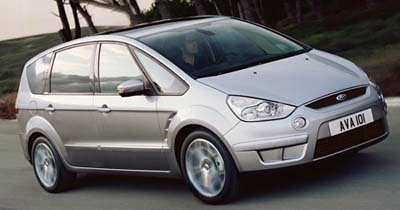 Ford US would import as many as 40 000 S Max minivans in the US starting with the 2009 model year. We'll see in the next few days if it turns out to be true. They also mention the Ford Transit Van. Just like we get the Mercedes commercial vans through Dodge. I heard before that Acura is thinking of a new coupe model. Seems that Honda is seeing a future in the coupe market with their all new Accord Coupe. Maybe Acura will bet a coupe based on the TSX/Euro Accord? A stupid name for a pretty nice looking car. It is made and sold in Europe. It is pretty much aimed at the Focus/Golf crowd and I think it might actually work here against the Mazda3, for quite a bit less money. 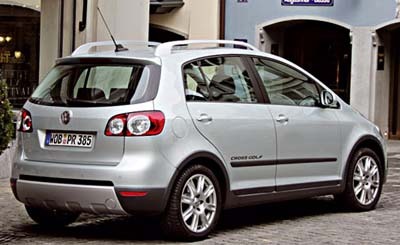 And there might be a void created by killing the Focus hatchback in the US. What's new about this, and why so early? I guess that's it. Still no keyless entry. More rumors about a Mazda RX7. 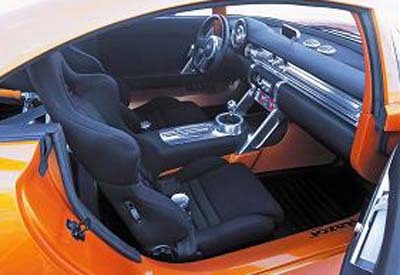 And would be based on the current Miata frame. Why not. But I didn't think the RX8 was overpriced to start with. I drove it a while ago and it is a great car. I think this one comes from the magazine "Car". 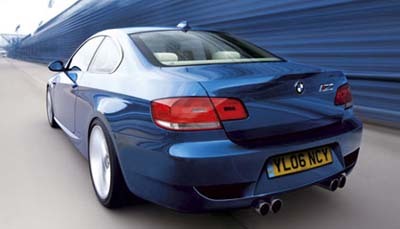 By the way, has anyone see the new 3 series coupe on the road? I have been surprised to see so many already, and I think they look great. And they already have some really good lease deals on them. This was already announced a while ago. But the new picture, next to the original model is pretty nice. 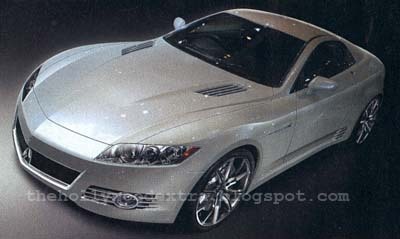 Basically, a Saturn Sky with a new grille and logos. 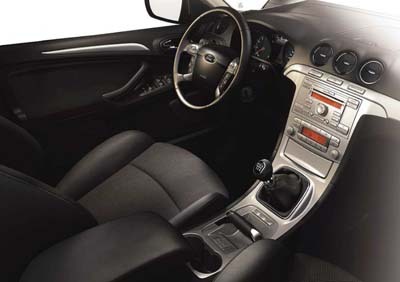 Well, this has to be the new 3.5 Liter V6 in the Fusion. Hopefully available in the fall. From what they did with the 500, we can't expect a new interior anytime soon to go with the new engine. 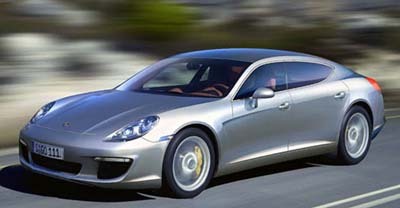 It is OK now, but it is also quickly getting crushed by the new Altima, and Malibu. And that's without even counting the all new Accord next year. Will a bigger engine be enough? "We feel we'll be able to get to a common design language that's bold, as it should be for the American market, and is absolutely applicable to the European market as well"
That's a statement from J Mays about Ford designs. 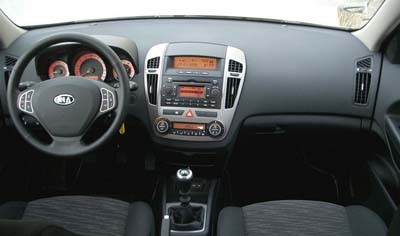 They now want US and Euro Ford to share a common "design language". Does that mean the 3 bar grille they are spending so much money putting on everything here is already obsolete? 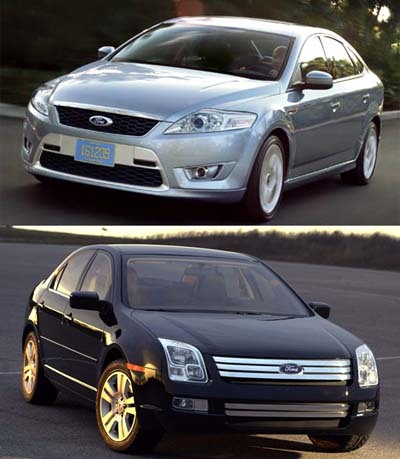 On a side note, does anyone else notice the shape of the license plate on the Mondeo? Not very European is it? We'll never get this . 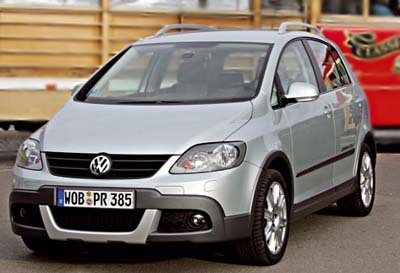 And VW of America will sell us the Tiguan next year. And that looks more like an SUV. This is only FWD, so basically a "poseur". But still. I kind of like it. 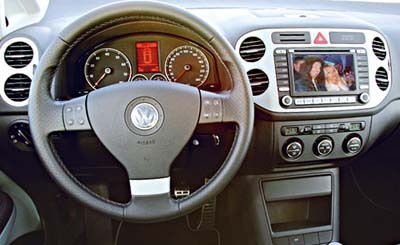 The interior is much better than the regular Rabbit/Golf/Jetta. And it just looks kind of "cool and convenient". NOT the new C class. New C class official presentation. A few more C Class pictures. Astra based Saab 9-1 coming up? 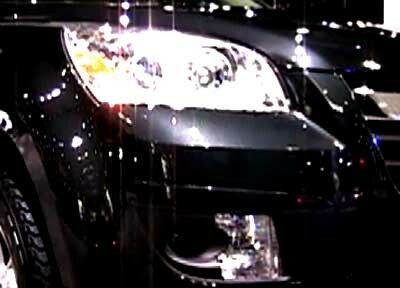 Honda Fit "Daily active concept"
Honda Accord concept "under the light"
Nissan Rogue "under the light"